This is the second in a series of five Factoids detailing Consumer Spending. Consumers are spending an increasing amount of money on Consumer Services and “Lifestyle Expenditures” – leaving fewer dollars for Furniture and other durable and non-durable goods. Money spent on Housing, including rent, utilities and other vendor services related to housing costs, has risen at a rapid pace since 2000 – up 85.6 percent in 2015 Q1 while consumption of Furniture rose just 33.3 percent. Unlike Furniture, which felt the impact of the Recession – dropping 11 percent in 2009, Housing services expenditures only slowed its upward momentum. On a positive note, Furniture has risen 20 percent since the peak of the recession, while Housing increased 18 percent. This is the first in a series of five Factoids detailing Consumer Spending. Consumers are spending an increasing amount of money on Consumer Services and “Lifestyle Expenditures” – leaving fewer dollars for Furniture and other durable and non-durable goods. Consumer demand for Services (mostly housing expenses and utilities as well as healthcare) have increased their share of personal consumption expenditures over the last 15 years as Furniture (falling under the Durable Goods category) has decreased. This Factoid shows the shifting of Goods and Services from 2000 to 2015 Q1. Services added 3.7 percent to its share of personal consumption, while Durable Goods, including home furnishings, motor vehicles, appliances, televisions etc., fell 2.5 percentage points. Non-durable goods, like food and clothing, as a group also lost 1.7 percentage points. This is the fourth factoid in a series detailing the Furniture Industry’s Distribution Channels. Factoid #4 shows the percentage of products sold in each distribution channel. 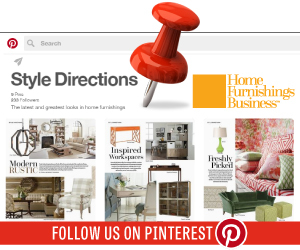 Furniture and Home Furnishing Stores. Traditional furniture stores along with specialty furniture retailers and home furnishings stores sold almost equal amounts of Upholstery (35.9%) and Living Room, Dining Room, and Bedroom (32.7%). Bedding is also a staple item in this channel at 23.2% of Furniture and Bedding sales, while there were fewer sales of Home Office and Computer Related (5.2%) and Outdoor and Patio (3.0%). Electronic Shopping (Internet). Although the highest percent of Furniture and Bedding sales in Electronic Shopping belongs to Living Room, Dining Room, and Bedroom Furniture at 32.7%, the other 4 main products are all between 14.0% and 19.1% of this distribution channel’s total sales. The distribution of sales of each main furniture category is the most balanced in the Electronic Shopping. Warehouse Clubs and Supercenters. These big box stores sell a mix of Home Office and Computer Related (36.1%), Living Room, Dining Room, and Bedroom (35.3%), and Outdoor and Patio (25.7%). Very little Bedding (1.7%) and Upholstery (1.2%) is sold through this channel. General Merchandise Stores. 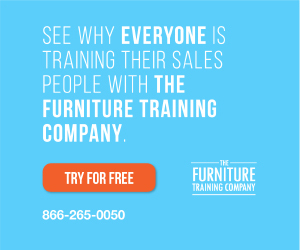 The five main furniture categories are well distributed in General Merchandise Stores with Upholstery being the majority at 34.7% and the exception of Home Office and Computer Related Items only contributing 2.8% of sales. Discount Department Stores. The vast majority of Discount Department Store furniture and bedding sales occur in the Living Room, Dining Room, and Bedroom category at 86.5%. Outdoor and Patio are 10.4% of sales, while the remaining products are 3.1% combined. Home Centers. Outdoor and Patio furniture is mostly sold in Home Center and Other Building Material stores – accounting for 56.2% total furniture and bedding sales in this channel. The channel also sold 20.8% in Living Room, Dining Room, and Bedroom and 14.5% in Home Office and Computer Related items. Department Stores. Bedding is still the largest segment of furniture products sold in Department Stores at 56.3% of product mix. Other product mixes include 17.5% of sales in Upholstery, 15.8% in Living Room, Dining Room, and Bedroom, and 10.3% in Outdoor and Patio. This is the third factoid in a series detailing the Furniture Industry’s Distribution Channels. Factoid #3 determines the percent of sales of a product by each main distribution channel. Upholstery. The vast majority of Upholstery is sold in Furniture and Home Furnishing Stores– 83.9% in 2012. 8.6% was sold through Electronic Shopping, while General Merchandise stores accounted for 4.2% of Upholstery Sales. The remaining distribution channels each made up less than 1.5%. Casegoods. With 60.4% of Living Room, Dining Room, and Bedroom Furniture Sales, Furniture and Home Furnishing Stores are the primary distribution channel for these products. 14.4% are also sold through Electronic Shopping, while 7.0% sells in Discount Department Stores and 4.0% in Warehouse Clubs and Supercenters. Home Office and Computer. The primary source of Home Office and Computer Related Sales are divided between Furniture and Home Furnishing Stores at 35.3%, Electronic Shopping at 31.0% and 15.1% sold in Warehouse Clubs and Supercenters. Outdoor and Patio. The majority of Outdoor and Patio sales were sold online making Electronic Shopping 33.8% of distribution. 23.0% of sales occurred in Furniture and Home Furnishing Stores, 15.0% in Home Centers and Other Building Materials, 11.9% in Warehouse Clubs and Supercenters and 9.4% in General Merchandise Stores. Bedding. Like Upholstery, Bedding is mainly sold in Furniture and Home Furnishing Stores, which include Specialty Bedding Stores, with 78.2% of sales, followed by Electronic Shopping at 11.5% and Department Stores at 5.8%. Source: Figures reflect data from the U.S. Census of Retail Trade issued every 5 years – 2002, 2007, and 2012. 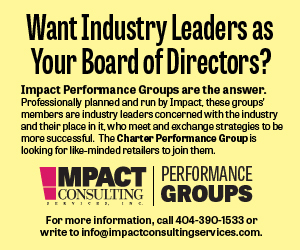 Figures for 2014 have been estimated by Impact Consulting Services’ furniture industry model. This is the second factoid in a series detailing the Furniture Industry’s Distribution Channels. Factoid #2 explores the changes of the percent of total distribution by each channel during years 2002, 2007, and 2014. Furniture and Home Furnishing Stores: Still the primary source of Furniture sales, this traditional distribution channel has decreased it’s percent of total by a total of 8.1% from 2002 to 2014 – down to 64.5% in 2014 from 72.6% in 2002. Electronic Shopping: While Furniture and Home Furnishing Stores decrease their hold on the Furniture Industry, Electronic Shopping is steadily gaining traction as a major distribution channel. Jumping from 2.8% in 2002 to 7.3% in 2007, Electronic Shopping finished out 2014 with 17.8% of the total distribution. Warehouse Clubs and Supercenters: This channel increased it’s share of total distribution slightly from 2002 to 2014 – up from 3.6% to 4.0%. General Merchandise Stores: After slightly increasing by 0.3% from 2002 to 2007, General Merchandise Stores grew by 1.1% in 2014 – accounting for 3.4% of total distribution. Discount Department Stores: Dropping it’s percent of total by (-1.5)% from 2002 to 2007, this channel rebounded slightly with an increase of 0.2% in 2014 – decreasing 3.8% to 2.5% over the 12 year span. Home Center and Other Building Materials: This channel decreased from 3.1% of total distribution in 2002 to 2.3% in 2007 and a minimal rise to 2.4% in 2014. Department Stores: Decreasing by (-0.7)% from 2002 to 2007 and (-0.6)% from 2007 to 2014, Department stores was 1.8% of distribution in 2014. All Other Retailers: In 2014, the remaining retailers dropped to 3.7% of distribution, after a decline from 8.9% in 2002 to 7.9% in 2007. In the first quarter of 2015, Bedding Sales increased 16.3% from 2014Q4 and 10.2% compared to sales in the same quarter last year. Year-to-date sales at $3.5 billion are up from $3.2 billion over the 2014Q1. The chart above shows quarter-to-quarter Bedding industry performance from 2011Q3 through the first quarter of 2015. For the last eight quarters bedding has shown steady and increasing improvement over the same quarter of the previous year. In the first quarter of this year sales totaled $3.5 billion, up 10.2% over Q1 of 2014. Note: Previously issued 2014 Q4 estimates have been revised. The Industry continued its steady growth in the first quarter of this year. A 7.7% increase over the same quarter last year resulted in Furniture and Bedding sales totaling $22.7 billion. Compared to the previous 4th quarter of 2014, sales were up slightly 0.75%. Furniture (excluding Bedding) increased 7.2% over 2014 Q4, but was down 1.68% over quarter 4 of last year. After a typical 4th quarter slump last year, Bedding grew 10.2% compared to Q1 of last year and 16.3% over Q4 of 2014. The chart above shows quarter to quarter industry performance from 2012 Q1 through the first quarter of 2015. Furniture (excluding Bedding) increased 7.2% with sales of $19.2 Billion in 2015 Q1 – up from $17.9 Billion in 2014 Q1. Bedding had an impressive quarter with sales of $3.48 billion, up 10.2% over first quarter sales last year of $3.15 billion.